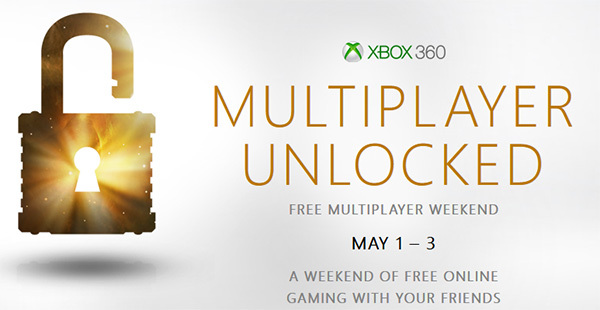 Free Xbox Live Multiplayer Weekend on Xbox 360 (May 1-3..
Xbox 360 players in all Xbox Live regions can take part in the free multiplayer weekend this weekend. Log on to Xbox Live May 1-3 for a full weekend of FREE online gaming with your friends. You may have finished the single player, but that’s only half the game. Xbox is unlocking multiplayer on Xbox Live Gold to give you a chance to play your favorite Xbox 360 games online. Simply log on to your Xbox 360 during the Free Multiplayer Weekend and experience the fun of fighting side-by-side with friends and allies.